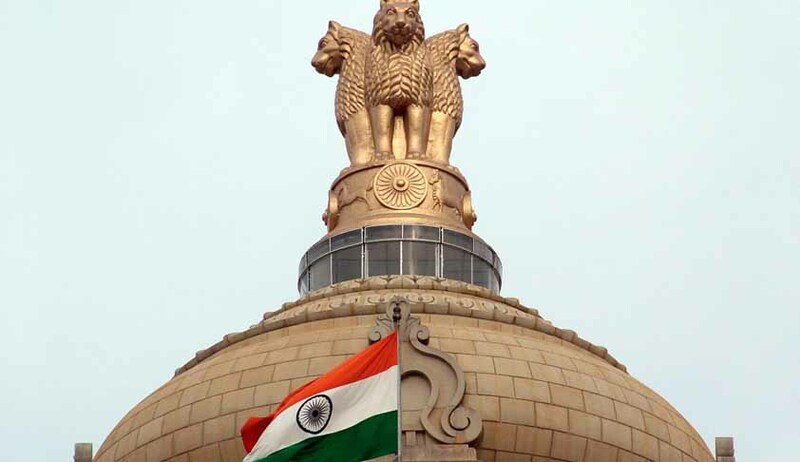 The Union Cabinet, chaired by the Prime Minister Shri Narendra Modi, has approved, while taking into consideration the Law Commission's recommendations, to introduce a Bill namely, "The Commercial Division and Commercial Appellate Division of High Courts and Commercial Courts Bill, 2015" in the current session of Parliament. (a) 'Commercial dispute' is defined broadly to mean dispute arising out of ordinary transactions of merchants, bankers, financiers and traders such as those relating to mercantile documents; joint venture and partnership agreements; intellectual property rights; insurance and other areas. (b) Commercial Divisions are to be set up in those High Courts which are already exercising ordinary original civil jurisdiction such as Delhi, Bombay, Calcutta, Madras, and Himachal Pradesh High Court. Commercial Divisions will exercise jurisdiction over all cases and applications relating to commercial disputes. The Commercial Division shall have territorial jurisdiction over such area on which it has original jurisdiction. (c) Commercial Courts which will be equivalent to District Courts are to be set up in (i) The States and UTs where the High Courts do not have ordinary original civil jurisdiction, and (ii) In the States where the High Court has original jurisdiction, in respect of those regions to which the original jurisdiction of a High Court does not extend. The minimum pecuniary jurisdiction of such Commercial Courts and commercial division is proposed as Rs. One Crore. (d) "Commercial Appellate Division" shall be set up in all the High Courts to hear appeal against (i) Orders of Commercial Division of High Court; and (ii) Orders of Commercial Courts. (e) Commercial Divisions or Commercial Courts shall not have jurisdiction in matters relating to commercial dispute, where the jurisdiction of the civil court has been either expressly or impliedly barred under law. (f) All pending suits and applications relating to commercial disputes involving a claim of Rupees One Crore in the High Courts and Civil Courts will be transferred to the relevant Commercial Division or Commercial Court as the case may be. (g) It is proposed to have a streamlined procedure which is to be adopted for the conduct of cases in the Commercial Division and in the Commercial Court by amending the Code of Civil Procedure, 1908 so as to improve the efficiency and reduce delays in disposal of commercial cases. The amended CPC as applicable to the Commercial Divisions and Commercial Courts will prevail over the existing High Court Rules and other provisions of the CPC to the contrary. The Government of India has under its consideration to provide a mechanism to ensure speedy disposal of high value 'commercial disputes'. The Law Commission, in its 253rd Report has recommended establishment of Commercial Courts, and Commercial Divisions and Commercial Appellate Divisions in the High Courts. The Finance Minister in his Budget Speech of 2015 had made a statement that for the quick resolution of commercial disputes, the Government proposes to set up exclusive commercial divisions in various courts in India based on the recommendations of the 253rd Report of the Law Commission. The establishment of commercial courts in India is a stepping stone to bring about reform in the civil justice system.